The Mosleys, Anne and Ted, are long-time United Way supporters and volunteers. Anne’s volunteer engagement started in 1996 at JC Penney when she became an employee campaign coordinator (ECC). ECCs play a critical role in the workplace campaigns. These are the employee peers who ask their coworkers to support the campaign. Anne says that you often had to be creative as many of the employees earned only minimum wage. Nonetheless when you told them the United Way story they tried to help. Anne and her team hosted employee presentations and promoted the use of payroll deduction. They held mini fundraisers such as potluck lunches to raise additional funds because the company matched what the employees raised. “I like to say to people don’t say you can’t when asked to support the United Way,” says Anne. Ted says that it was Anne’s fault that he became a volunteer! Even though he was working full-time, he often helped Anne out. After retiring from his military career, he then went to work for a government contractor. His employer encouraged community service so he chose the United Way, an organization that he already knew and had ties to. Then in 2014 and now fully retired, Ted started as a reviewer for the organizations’ Fund Distribution and Agency Relations committee. This committee solicits, reviews, and recommends funding for the various programs and services. Currently, Ted serves as its co-chair. When you start to talk to people about the many programs and services the United Way helps says Anne, many people begin to realize how they have been impacted directly. And, for the couple, much of this is personal as they have family members who have benefitted from funded programs. In doing some genealogical research, Anne learned that her mother was a Community Chest volunteer. The Community Chest was a precursor to today’s United Way. Her mother served on the financial committee and went door-to-door asking for funds. Next for Anne was the campaign cabinet. The cabinet organizes and manages the fall campaign. She says volunteering on the cabinet made her feel even more connected to the United Way. She states that when you set the goal, work on the publicity and so forth, a successful outcome becomes more personal. 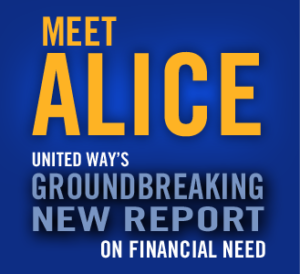 When the United Way launched its CASH program (a free income tax preparation service for low to moderate earners) in 2005, Anne, who has an auditing background, signed on to become a preparer. Anne enjoyed getting to know many of the people who came in year after year. She says that it was heartwarming to see people tapping the community resources that were available to them. People were so grateful for the service. She did this for a number of years finally deciding that it was time for a change. These days, you can find Anne volunteering in the United Way office. She helps with some of the finance and campaign functions. Ted says he really enjoys his volunteer work and hopes to encourage more people to become involved. He says that every year he learns more about the work of the organizations and programs funded by the United Way. Both Anne and Ted are united in their belief that many area residents just don’t understand how much people depend on these services and supports. And, they both agree, they’re working to ensure that they continue to be available. 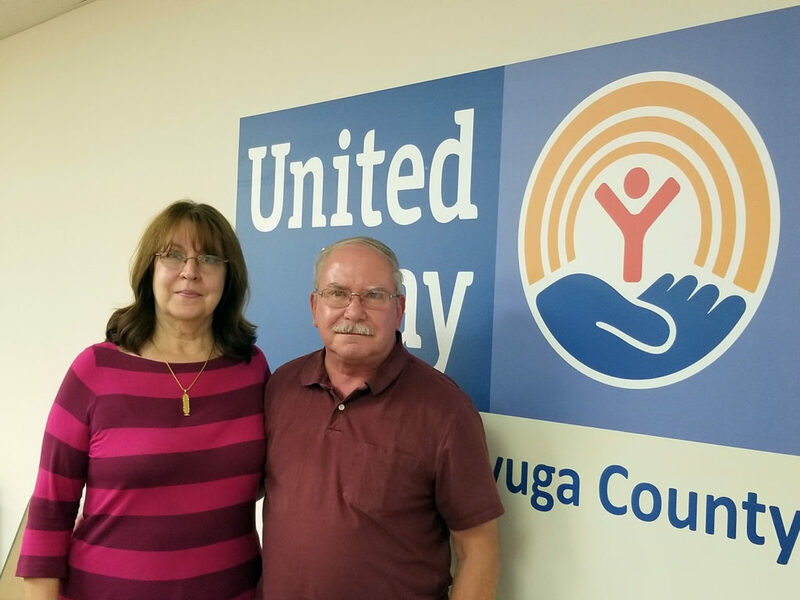 Copyright © 2019, United Way of Cayuga County. All Rights Reserved.